Pivit has released a new range of NBN plans for new and existing residential customers who are moving to a location where NBN is available. “We are taking away one of the headaches of moving and making it easier for our customers to take their internet service with them as they move off the Pivit network” Pivit’s Customer Service Manager said. The need for faster internet speed and unlimited downloads has grown. People watch more on-demand TV, play more online games and are now connecting their homes with smart home technology. Pivit has listened to what customers want and created a range of NBN internet plans to suit customer needs and budgets. 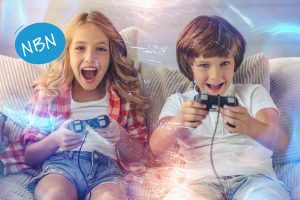 For people who live in big households who love to play games and watch on-demand content from services such as Netflix than the VIP NBN Internet plans are ideal. The VIP NBN Internet plans give people unlimited downloads and fast internet speeds in the evening (peak times) so all people in the house can enjoy non-stop entertainment. Pivit has also created a range of NBN Internet plans for people who want to save money while still getting good quality internet. These plans called ‘Budget Basic’ and ‘Everyday Affordable’ are perfect for people that live in smaller households who tend to watch less on-demand streaming TV and movies and mainly use the internet for surfing the web and e-mail. Pivit specialises in internet services over Fibre optics. It was one of the first companies in Australia to build Fibre-optic networks and offer internet services to residential customers. They were the first Teleco to give residential customers 258mbps/258mbps internet speeds which is almost three times faster than the speeds the NBN can provide. Pivit is also one of a handful of Teleco’s that still offers local Australian customer service making it an excellent choice for people who are moving to an NBN location. For a limited time, Pivit is giving customers a Netflix Gift Card worth up to 3 months of Netflix when customers signup to an NBN plan. For information on the new NBN plans click here or contact our customer service team today. To find out more about Netflix click here. To learn more about the NBN click here. * Please note customers must signup for a 12 month or 24-month plan to receive the Netflix gift card offer. The Netflix gift card is redeemable for both customers who already have a current Netflix membership and customers who wish to trial and signup to Netflix. Want to view the latest residential NBN plans? Pivit has recently released a wide range of exciting new plans ultra-fast plans available now for their residential customers. The need for speed is a growing across the country and Pivit is moving in line with what customers want by offering incredibly fast speeds at an affordable price in a wider range of locations by providing their services over the NBN network. Pivit has always offered incredibly fast internet over their own fibre optic networks and was one of the first companies in Australia to build and offer Fibre optic internet. With the recent rollout of the NBN Pivit now has the ability to provide quality internet services to residential customers beyond their own networks. Want to view the latest residential plans? All Pivit services are all working as expected. You should be experiencing our best available service. There are no maintenance projects expected. If you are experiencing any faults with your service, please call your Customer Service Team 1300 66 33 20 or email faults@pivit.com.au and we will work with you to resolve this for you asap.